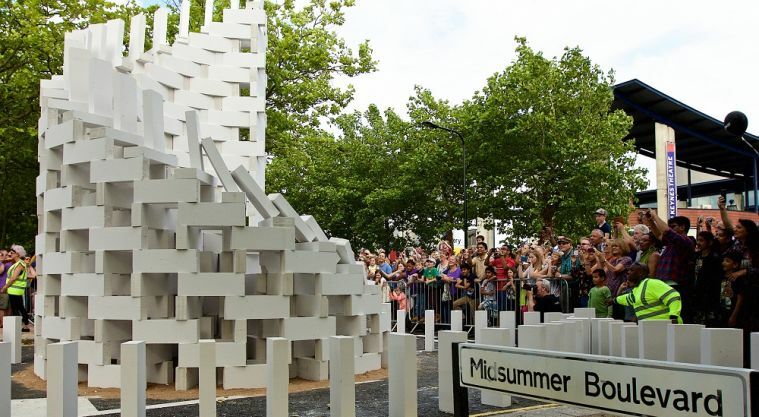 Produced by The Stables and taking place every two years, IF: Milton Keynes International Festival is now a major landmark event in the cultural calendar. Engaging around 500,000 people, the Festival presents a world-class, multi-arts programme over 10 days which includes large-scale and family events. The programme features The Stables Spiegeltent, home to a programme of concerts, comedy and circus, an Acoustic Stage as well as installations placed in unusual locations across Central Milton Keynes, including parks, public squares and boulevards, as well as in the digital realm. The next Festival takes place from 17-26 July 2020. The Festival is supported by Arts Council England, Milton Keynes Council, sponsors and partners. If you would like to support IF: 2020, please download our Innovation Founders form below or contact Erica.mcdonald@stables.org 01908 280815 to discuss the opportunities. The Stables also produces special one-off events including Clash of Drums for the Rugby World Cup 2015 in the city and Feast of Fire for the 50th anniversary celebrations to mark the founding of Milton Keynes.